Oedipus Rex is an example of a research paper on renunciation. 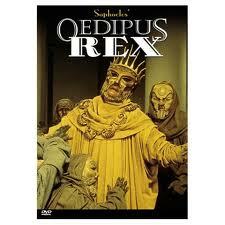 Oedipus Rex research papers can illustrate that the story is an example of renunciation. Specifically, a tragic experience under certain conditions, which primarily causes the inevitable defeat of a character's will to live by his spiritual aspirations. The process of this defeat necessarily involves suffering and distress that arouse fear and pity (which Aristotle said were to be purged through tragedy). Renunciation is the ultimate result of the intensity of the dramatic conflict between worldliness (the will to live) and spiritual aspiration. You can have research papers written on any topic within Oedipus Rex that you have been assigned. Our writers help you understand this complex Greek novel and make world literature simple and clear. Oedipus' search for his identity is a search for his own guilt. His decision to remain alive, although suffering mutilation and exile, meets the conflicting needs of his devotion to life and his spiritual aspirations. In this way we can estimate the scope of his heroism. Oedipus' conflict is between his moral virtue and his intellectual virtue. To meet his needs verses the needs he feels morally bound to. Oedipus chose the intellect over the moral and suffered for it. Oedipus’ flaw was his blindness to destiny. If Oedipus Rex had accepted and embraced his destiny, and carved out for himself a life path that would give that destiny meaning. At the core Oedipus is a loving father and husband, a paternal and responsible leader, respectful, generous, compassionate, god-fearing, intelligent, inquisitive, quick thinking, as well as fearless and relentless in the pursuit of truth. Man's struggle between fate and free will. The concept of blindness as a powerful symbol. By analyzing the ways in which the concept of blindness is revealed and repeated throughout the play, you can demonstrate that blindness is central to the thematic and metaphorical elements in Oedipus Rex. Furthermore, it provides the play's irony, in that only the play's blind characters see the truth. In this play, Sophocles used the concept of blindness as an ironic symbol for the truth. As the play begins, Oedipus is waiting with a priest for Creon to return with an answer to the plague that threatens Thebes (5). When no man can understand the response that Creon offers, Oedipus turns to Tiresias, the blind prophet, who enters the scene guided by a boy. In his opening remarks to Tiresias, Oedipus said, "Tiresias, all things lie in your power, for you have harnessed all knowledge and mysteries". In this passage, blindness becomes a symbol of the knowledge and truth. Even though he is blind, Oedipus admits that Tiresias has the power to see more than other men do. In addition, this passage demonstrates the use of blindness to convey a sense of irony. For example, it is ironic that the blind man can see the truth more clearly than those who have their sight. When Tiresias finally answers, "You are our corruption, the unholiness in our land," Oedipus does not believe him, and mocks Tiresias's blindness. Again, blindness is the truth, which is impossible for Oedipus to see. That is, Oedipus cannot believe that he is the man who is responsible for the plague on his country, when he has worked only to help Thebes. Paper Master's writers point out that Oedipus lived in blind passionate ignorance of his role. In fact, one may argue that it is his ability to see only what he wishes that makes Oedipus blind to the truth. Tiresias does not want Oedipus to know the whole truth, for it will be too painful. Yet Oedipus presses him, and mocks his blindness: "You live in perpetual night; you cannot harm me, nor anyone who moves in the light". In this passage, Oedipus is actually mocking the truth, which is symbolized by blindness. The Trial of Oedipus the King - This book report will include the formal speech of Oedipus, in which he outlines the charges brought against him, and offers a defense for those charges. Greek Epic Research Papers - It is also to be noted in greek epic research papers that strong women can be found in northern sagas, in Greek tragedy (e.g. Oedipus' daughter Antigone). Oedipus Rex and Blindness - In Oedipus Rex research papers, a student should point out how Sophocles presented many classic themes, including man's struggle between fate and free will. Oedipus the King - In research papers on Oedipus the King by Sophocles, there is the example of the classic tragic hero in the character Oedipus. Greek Tragedy research papers examine the function of tragedy in literature. Paper Masters writes custom research papers on Oedipus Rex, which is an example of a research paper on renunciation.